Authors: Wayne Erickson & Charles E Pate. Fully Illustrated with color and B&w photographs. Binding: Hardbound in simulated leather. The Broomhandle Pistol 1896-1936 is a visual reference guide to assist collectors identify the history of these remarkable pistol and many variations of the Broomhandle Pistol made between 1896-1936 including shoulder stocks, holsters and Accessories. This book is the essential reference guide used extensively by Firearms Museums, Libraries, gunsmiths and collectors world-wide. Fully illustrated with B&W and color photographs identifying the pistols correct bluing and strawing and many other factual details not found in any other Mauser Broomhandle pistol Book of its kind. 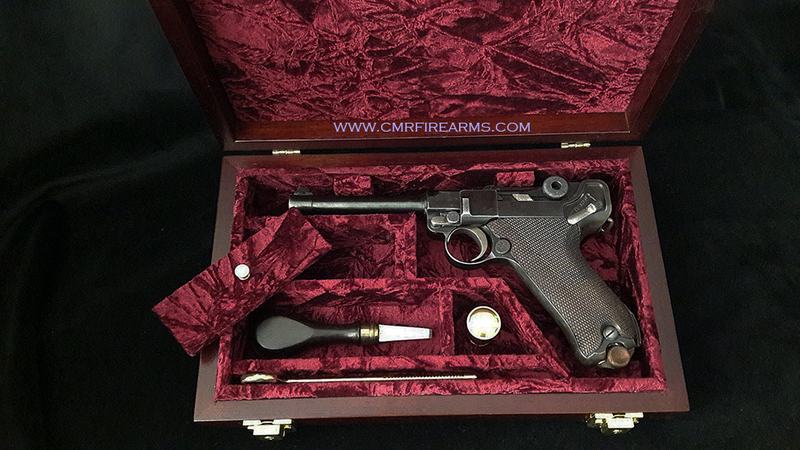 Type pistols identified: German Mauser, Spanish Astra, Shansei & other Chinese C96 pistol variations etc..